Twelve days into the Okinawan handstand challenge and I can already feel a difference in my stability upside down. And I am playing around with stuff that never made sense before. Part of me really didn’t think this challenge would make a huge difference, as I practice regularly. 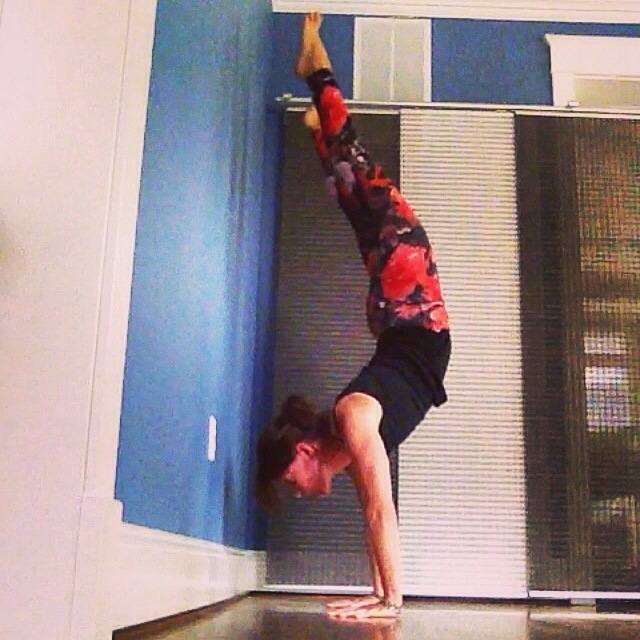 And handstands, while not necessarily part of my daily practice, have become pretty common in my life. But it is already clear, this is definitely different. Very much so. Exciting! I can’t imagine what 120 days will feel like. If you want to know more about the challenge, go to http://www.YogaNag.com and look down left menu for the Okinawan Handstand Challenge, including some video how tos. This entry was posted in Do Yoga. Today. Everyday. and tagged handstand, practice, Yoga.